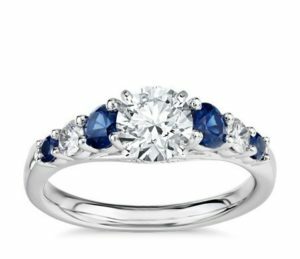 Since you probably don’t buy diamond jewelry every day, you certainly want to know how to pick something that’s not only beautiful but also of high quality. You want to find something really special, especially if you’re buying it for your loved one. You want the diamond to reflect their unique personality. Whichever the case, leave all your worries behind. Following these tips will guide you on your search and help you buy stunning, high-quality diamond jewelry. First, you need to decide on the type of precious metal for the jewelry. 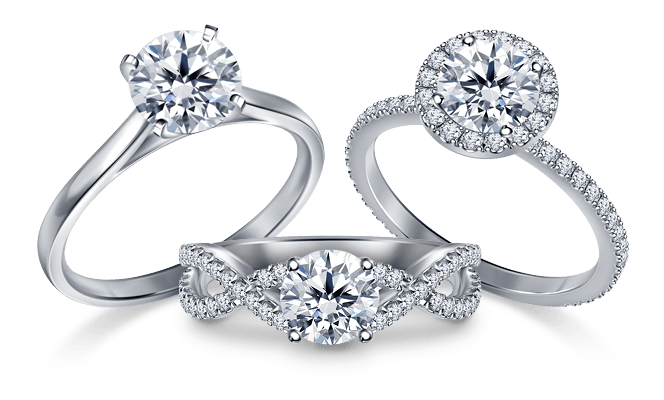 The most common precious metals used in diamond jewelry are gold, silver, and platinum. Gold is known for its high density and luster and it has always represented grandeur and luxury. It remains the most popular precious metal for all jewelry, as it adds a touch of class and style. You can choose from yellow, white and rose gold. White gold is stronger and more durable than the other two types. The bigger choice here definitely lies in your own personal sense of style, or the person you’re buying the jewelry for. Whichever gold you go for, you can be sure that the jewelry piece will be timeless. Silver is also very popular, mainly because it’s more affordable. However, it’s less durable than gold and more susceptible to scratching and denting. Platinum is more expensive than gold, but it’s also four times more durable. Being one of the purest precious metals used for jewelry, platinum has become the synonym for luxury. As all diamonds are unique, it can be a bit difficult to choose the right one.This is especially hard if you have no clue where to start or what to look out for. That’s why you should learn about the 4 C’s of diamond grading before you make a purchase. They’re what sets the quality of a diamond and the price. The 4 C’s that will help you choose the perfect stone are color, clarity, carat, and cut. The color of a diamond greatly impacts its value, but choosing the color is often a simple matter of taste. The rarest and most valuable diamonds are colorless, but those with a hint of color can rarely be distinguished from one another. They can look the same to the untrained eye. This is why they are graded with letters representing the absence of color. The GIA (Gemological Institute of America) color-grading scale, sets the industry standard. The scale goes from D for absolutely colorless to Z for light yellow or brown. However, everything lower than M has low quality. Again, the differences in color are very subtle, but they significantly impact the price. The clarity of diamonds is vital because it greatly determines the price of a piece of jewelry. This is a characteristic that is not visible to the naked eye. The experts use 10x magnification to analyze the stones and give them a clarity grade. They look forinclusions and blemishes (internal and external marks) created during the forming of diamonds. The GIA International Diamond Grading System has a clarity scale as well, grading diamonds from Flawless to Included. Flawless being the most transparent and valuable diamonds. Included having the most obvious inclusions when observed under 10x magnification. Many people associate carats with the size of a diamond, when carat actually refers to the stone’s weight. A 1.0 carat diamond weighs 200 milligrams (0.2 grams) and, naturally, the more carats a diamond has, the more valuable and expensive it is. This is because bigger diamonds are quite rare. Now, carat weight doesn’t determine the size of a diamond. For instance, a diamond that weighs 0.98 carats may have the same shape and size as a diamond weighing 1.03 carats. However, that slight difference in weight translates to a considerable difference in price. While carat weight is an important factor to consider when buying diamond jewelry, it shouldn’t be your top priority, because it doesn’t have anything to do with the brilliance of a diamond. For instance, you may find a 2.5 carat diamond that doesn’t shine as brightly as a 1.0 carat diamond. Therefore, consider the other factors before considering the carat weight. A stone cut doesn’t refer to the shape of a diamond, as many people think. The diamond cut is the style used for shaping a diamond symmetrically. The diamond is proportioned and polished to create beautiful and visually appealing stones. It refers to the brilliance of a diamond and directly affects its ability to sparkle. This is why the stone cut is the most important factor to consider when buying diamond jewelry. Even if you find a colorless diamond with flawless clarity, it may be cut poorly, which would dull it’s sparkle. All these components determine the cut of a diamond. According to the GIA’s cut scale, there are five cut grades: Excellent, Very Good, Good, Fair, and Poor. Each grade represents a wide range of proportions and face-up appearances. 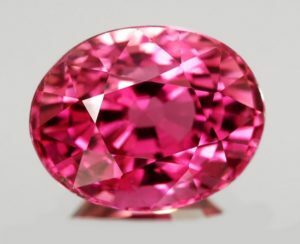 The AGS (American Gem Society) includes one more cut grade for round stones – the Ideal cut. Inspection is a very important part of buying any kind of jewelry. You don’t want to buy a piece of diamond jewelry only to lose your precious gem before you even get home because the stone was loosely set. You can do a safety check on your own and make sure the diamonds are fixed in place and there are no bent or broken prongs. However, find an expert to carefully inspect the jewelry using proper magnifying tools. Professionals have a trained eye that can detect any kind of jewelry issue, no matter how slight. They will help you purchase high-quality jewelry and get the most bang for your buck. 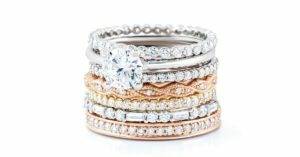 With this detailed guide, you can be sure that you will easily be able to pick the most beautiful diamond jewelry, no matter the budget you’re working with.